Our Thailand taxation brief is intended to give you a general idea of taxation in Thailand, you will need to consult with Thai tax experts like ours for the best results. The best part is we have fluent English and Thai speaking staff on-hand to help you. From 2017 Thailand's corporate income tax has been set at 10 to 20 percent of net profit. All juristic companies and partnerships registered in Thailand are subject to income tax on the revenues earned from within and outside of Thailand. If you have a branch of a foreign company in Thailand you are subject to corporate income tax on the revenues earned inside of Thailand. Generally foundations will pay income taxes at a rate of 2 to 10 percent of gross revenues depending on the type of income. The foundations and associations mentioned by the notification of the Ministry of Finance as a public charity organization are exempt from income tax. International transport companies pay an income tax rate of 3 percent of gross ticket receipts with 3 percent of gross freight charges. Your annual tax return must be filed by the taxpayer within 150 days from the accounting year-end. Every accounting period is 12 months except for newly incorporated companies. Returns must be filed together with audited financial statements. A corporate taxpayer must also file a half-year tax return paying 50% of the estimated annual income tax by the end of the 8th of that accounting year. Failure to pay this (including underpayment) by more than 25% may subject you to a fine up to 20% of the amount in deficit. Companies which are listen with the Securities Exchange of Thailand, IFA's, Commercial Banks, Securities/Credit Financing Companies OR partnerships/juristic companies specified under the rules of the standing Director General of the Revenue Department must pay half-year tax on actual net profit from the first 6 months of the accounting time frame. In such a case, the tax return must be filed together with financial statements (in Thai) which have been reviewed by an auditor approved of by the standing Director General. As a part of this initiative to promote the competitiveness of Thailand, we've put together a summary shown below of the most recently enacted tax laws for corporate income tax rates. 2. Companies or juristic partnerships, with fully paid up capital not exceeding Baht 5 million on the last day of the accounting period and revenue of no more than Baht 30 million from sales of goods or services during the accounting period (SMEs): For the accounting period commencing on/after 1 January 2017 onwards . Everyone in Thailand who is in employment or business or has assets located in Thailand is subject to personal income tax, whether such income is paid in or outside of Thailand. Exemptions can be granted for certain persons such as United Nations officers, visiting experts and diplomats under the terms of international and bilateral agreements. An individual who lives inside Thailand for 180 days or more for any calendar year will be subject to income tax on all their incomes while operating in Thailand as well as foreign sources IF the income is brought into Thailand during that same year. Different types of incomes also have different rates of standard deductions. For example, the income from employment is a standard deduction of 50% yet not exceeding 100,000 THB. Standard deductions can range from 10 to 85 percent, however, some types of earners may choose to itemise their expenses instead of taking the standard deductions as specified by Thai laws. 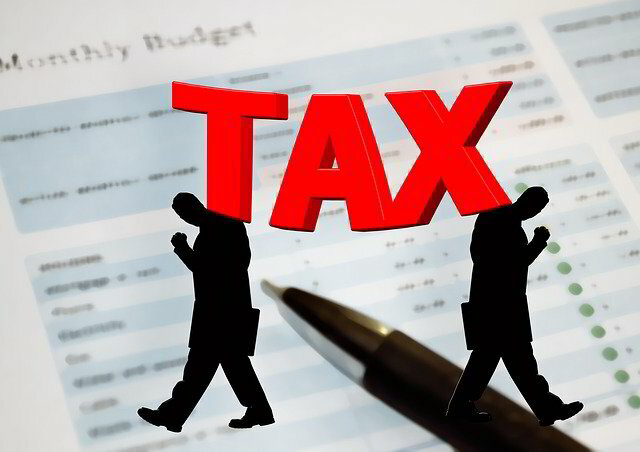 After the standard deduction, the taxpayers are also entitled to deduct personal allowances as well as other allowances as permitted by Thai laws in order to derive their net taxable income. Personal income tax returns must be filed by March 31st in the following year. VAT is levied at the rate of 7% on value of goods sold and the services rendered at every level, importing included. Certain categories of goods and services, (e.g exports are zero-rated (i.e subject to 0% VAT). Other categories of goods and services are exempt from VAT (e.g sales of agricultural products). If you need to see if you qualify, contact one of our bilingual accounting specialists here. Under the VAT system, VAT registered sellers of goods and services must then levy the VAT on the purchaser. The seller is generally entitled to claim credit for any VAT paid on the acquisition of its raw materials, stock or other goods or even for services which are used in that business. This VAT credit is generally not available with respect to the entertainment expenses and certain specific expenditures. A business which is selling zero-rate goods or services if further entitled to credit for the VAT that they paid when purchasing those goods/services. However, a business which is selling exempt goods or services is not entitled to the credit and must bear the VAT at it's stated cost. The VAT system places a stringent registration and documentation obligations on businesses operating in Thailand. VAT credits are only available if the tax invoices in the prescribed form are received from your supplier(s). There are monthly VAT return filing requirements and records that must be maintained to prove an audit trail for the revenue tax examiners which are able to call at any time. Categories of goods and services with zero VAT and exempt from VAT. There are certain types of businesses such as banking, finance, securities, insurance, pawn shop, immovable property in a commercial manner OR for profits are subject to the Specific Business Tax (SBT) and VAT. Businesses which are subject to SBT must pay the VAT on their purchases of goods and services but are not entitled to a VAT credit. The SBT ranges from 20.5 - 3.0 percent on monthly receipts. When a monthly return is filed and SBT is paid, an additional amount of 10% will be levied as a municipal tax. An interesting note to the companies that do not engage in the businesses subject to SBT. During the course of business operation, a company will likely lend money to its directors or affiliates. When the company receives interest income on the money lent to its directors and affiliates, it has to file a SBT return (Knows as PT 40) and submit 3.3% on the interest received by the 15th of the next month. Double taxation treaties between Thailand foreign countries will cover taxes on income and the capital of individuals and juristic entities. The petroleum income tax and the property tax are covered under some treaties but Value Added Tax, SBT and Municipal Tax are not covered under any tax treaties. Thai double taxation treaties generally place a resident of the Contracting State in a more favourable position for Thai tax purposes than under domestic law... the Thai Revenue Code. In general, Thai double taxation treaties provide income tax exemption on business profits (Industrial & Commercial Profits) earned in Thailand by a resident of a Contracting State if it does not have a permanent establishment in Thailand. In addition to this, the witholding taxes on payments of income to foreign juristic entities not carrying on business in Thailand may be reduced or exempted under the treaties.